One of the reasons we birders are so fascinated by our feathered friends is certainly related to their mastery of the air. They can fly and our terrestrial species has always viewed flight as an enviable, sometimes magical ability. We watch hawks soar high overhead and wonder what they see. We admire and are amazed by the aerial gymnastics of swallows as they zip and dive through the air. Ravens delight in doing barrel rolls and other acrobatics and wouldn’t it just be fantastic to do the same? Ingenuity and technology eventually gave us wings of a sort but they aren’t the same as the amazing appendages used by birds to row through the skies. If you take a close look at the wings of any bird you watch, it can actually tell you a lot more about it than hosting wing bars or other field marks. Take a close look at feathers on the wings of owls and the first thing you will notice is how incredibly soft they are. They feel almost like a mix of air and powder but what you are really feeling are adaptations that accord them with silent flight. In the dark realms they frequent where sound means everything, the imperative for silence is paramount for these winged nocturnal predators. While feathers can tell you a great deal about many a bird, it’s the structure of the wing itself that reveals aspects of a bird’s behavior. Even if a tern is resting on a sand bar, its aerodynamic shape and long wings tell you that this is an animal built for the air. The wings seem so long that they basically dwarf its body and in fact, their dimensions resemble those of a swallow’s. This reflects the similar need to stay in the air for much of its life. 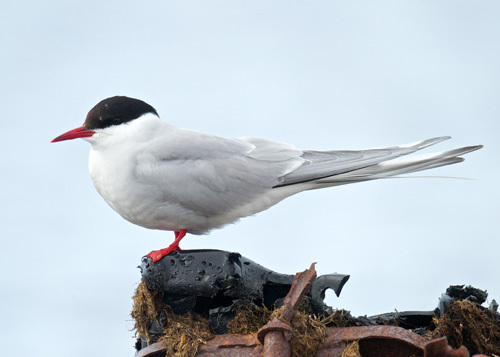 While terns don’t swoop around and catch flying insects as much as swallows, they do need to spend large amounts of their time flying above the water and hovering in place. 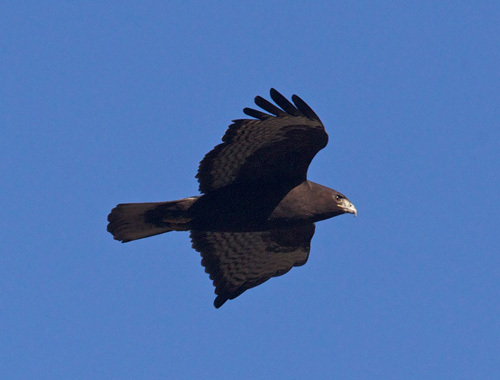 Long wings are also an indication that the bird in question is a long-distance migrant. The next time you see a warbler or flycatcher that spends the winter in the tropical zone, take a close look at the wings and compare their length to those of a House Sparrow. The long, sharp primaries on the migratory species can extend halfway down the tail, while those of the sparrow are much more blunt. The long primaries evolved to help those migratory species expend less energy while flying. They basically get more fuel mileage than their “uneconomical," resident counterparts. This doesn’t mean that there is anything wrong with short wings. It just means that birds with short wings didn’t evolve long wings because that adaptation didn’t help them survive. It doesn’t take more than a glance at dense forest or shrubbery to see why short wings would be helpful in those habitats. A Goshawk can chase a jay through an oak woodland because its short wings can fit through small spaces. Can you imagine a long-winged harrier attempting to fly through the same patch of forest? 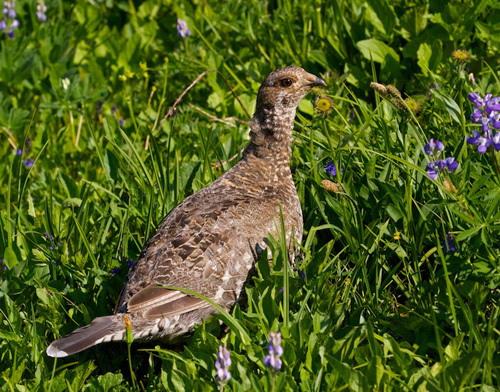 Nor do terrestrial species such as grouse require long wings, because they rely instead upon hiding in dense vegetation with camouflaged plumage. When they need to fly, their short wings work well enough to quickly propel them into the air and away to safety. This article originally appeared on ChatterBirds.com. Thanks!